So many ways to use ribbon. I just love using ribbon in interesting and unique ways. These photos came from Creative Home Magazine, and I think the techniques are exquisite. 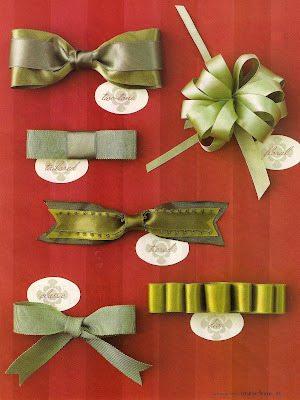 If you need help figuring out how to do these bows, feel free to e-mail us at Stephanie Grace for the instructions.